To The Rescue! is friendly, professional and conscientious. I am always happy to have my rugs cleaned and the pet stains removed. My clean rugs and carpets make for a healthier environment. We were in Hawaii when a neighbor called to say she saw water coming from our basement. From our hotel room, we called To the Rescue! They came and found the problems, removed the water and saved our belongings. Because we have used them several times in the past we trusted them to know what to do, we were reserved from a disaster. The best benefits of To The Rescue! is you can trust them to do the right job, the correct way at a fair price. I have always been pleased with the work and the courteous service. Especially when To The Rescue! picked up my rugs when I had hip surgery. To The Rescue! cleaned my rugs, stored them , then when I was ready, put my rugs back in place. I received great service on our RV. The trustworthy tech made our carpets look better than new. Mark removed even the smallest stains on his hands and knees. I was pleasantly surprised by To The Rescue! Everything you have ever cleaned for me has been great. It’s refreshing to have such courtesy shown to customers. That’s why I refer my clients to ToThe Rescue! To The Rescue! was the only ones in the phone book who cleans vinyl floor. I was very pleased with the results of the floors and carpets. Now my bull dog Dixie Bell is happily going to the bathroom outside were she is suppose to go. My problems were solved. We had a basement that flooded .To The Rescue! came on Memorial Day less than an hour after I called. As a result we have no wall damage and no mold and mildew. I think To The Rescue’s! goal is to do the best job possible, quickly and pleasantly. I have been very pleased every time To The Rescue! has cleaned my carpet. We were very pleased with everything. The carpets are cleaner than they have ever been. What was really special were the two courteous, efficient, and competent young men who came to replace our rug pads. They were super. 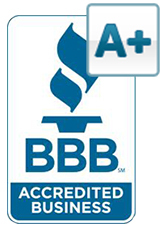 I trust that your technicians will be knowledgeable, capable and do a completely clean job on my carpets. There were spots of tea, coffee, and wine that I wasn’t sure could be removed, but they were! I do mention your name and what good work your techs accomplish when the opportunity arises. My sister did take my advice & had you clean a stained area in her doctor’s carpet. She was pleased. A company I can count on for a quick and excellent service from cleaning a rug to saving our floors & furniture from a hurricane – inducing a hole in the ceiling. Very accommodating. The workers and staff are all polite, hardworking people. They arrive on time and start their jobs without hesitation. I wouldn’t hesitate to have them back or to recommend the company to friends and family.